It is said that the Petherton Baptist Church Cemetery dates back to 1860. In the fall of 1977, it was restored, old stones assembled into a Cairn, and the ground leveled and seeded to grass. Money was donated by the Blyth family and others, to Arthur Township Council who looked after the work. As it is the council's responsibility to take care of closed cemeteries, they supplied the extra money for the restoration. During the restoration, many of the buried stones were found. There were over 30 recovered. They marked the graves of the people buried from the log Baptist Church that had once stood on the site. These stones dated back to the 1800's. The stones are lying in a semi-circle and due to the age of the them, many of the inscriptions are illegible. 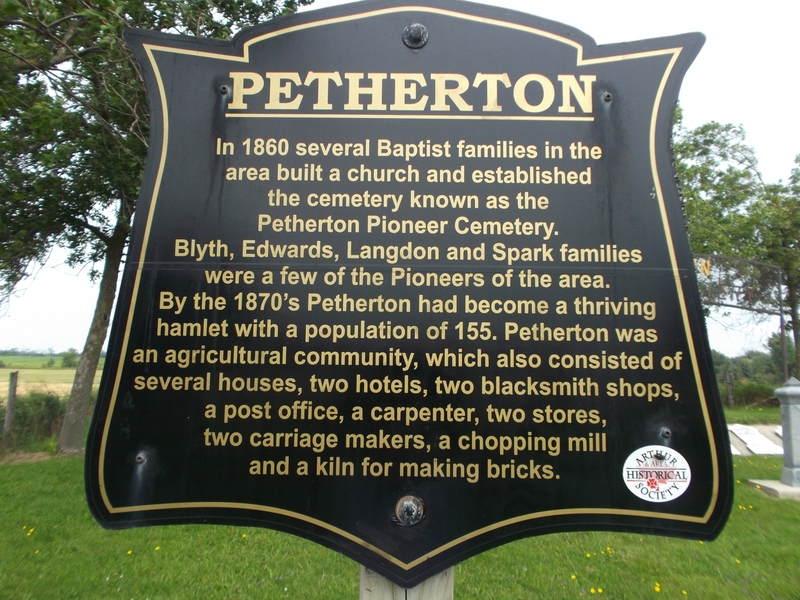 A plaque with the following inscription has been placed at the cemetery: In 1860 several Baptist families in the area built a church and established the cemetery known as the Petherton Pioneer Cemetery. Blyth, Edwards, Landon and Spark families were a few of the pioneers of the area. By the 1870's Petherton had become a thriving hamlet with a population of 155. 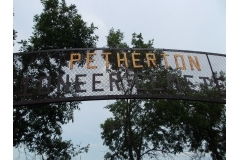 Petherton was an agriculture community , which also consisted of several houses, two hotels, two blacksmith shops, a post office, a carpenter, two stores, two carriage makers, a chopping mill and a kiln for making bricks. 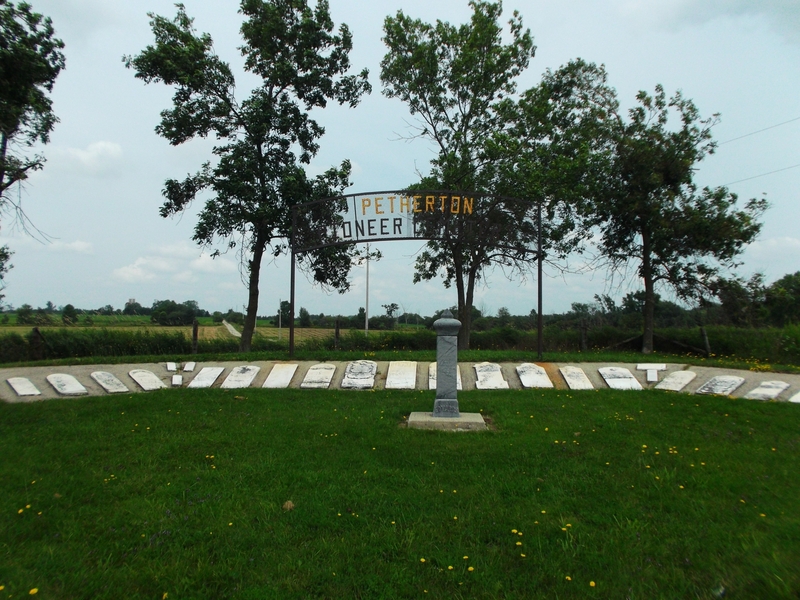 The cemetery is located on the east side of Highway 6 just north of Sideroad 9, between Kenilworth and Arthur.